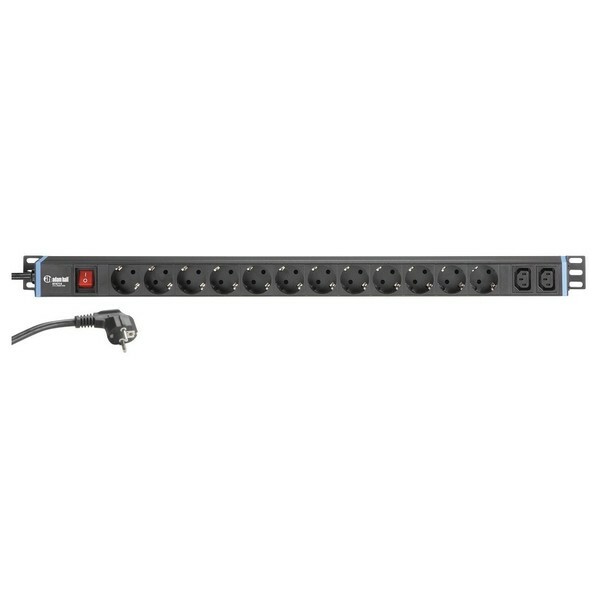 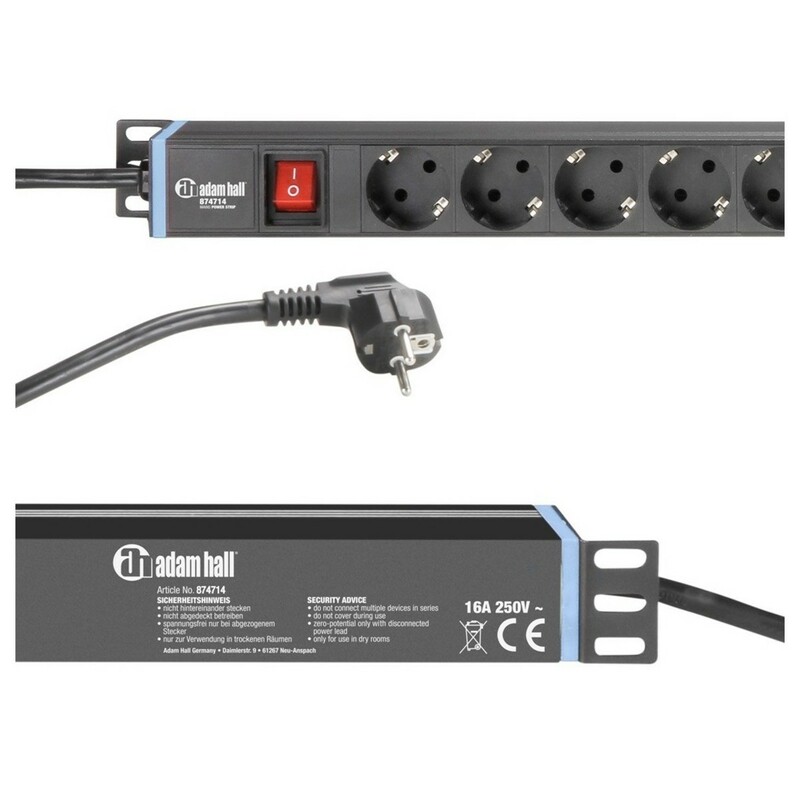 The Adam Hall Large EU Power Strip is a professional quality power strip, with 12 outputs to ensure ample power distribution in any live set up. 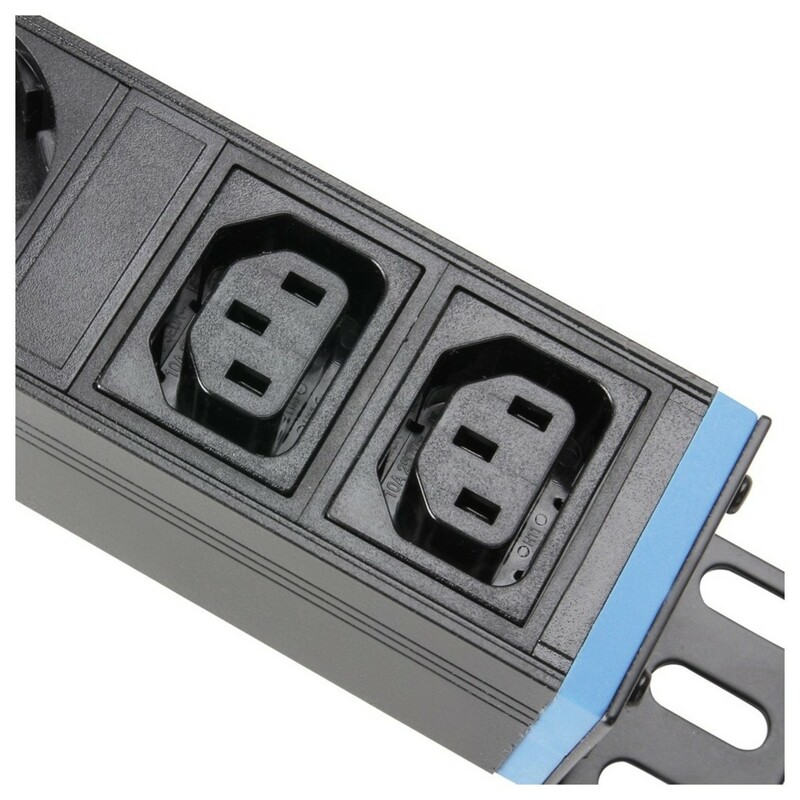 The power strip includes 12 standard EU connectors and two IEC plugs. 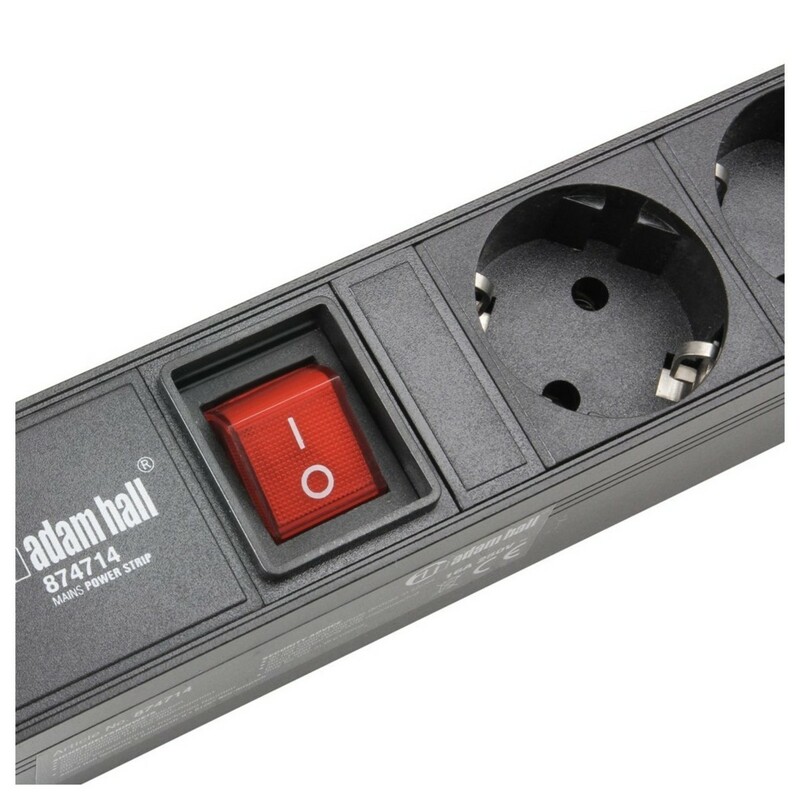 The on off switch illuminates brightly so you can easily find and access it even when it is concealed behind other units. 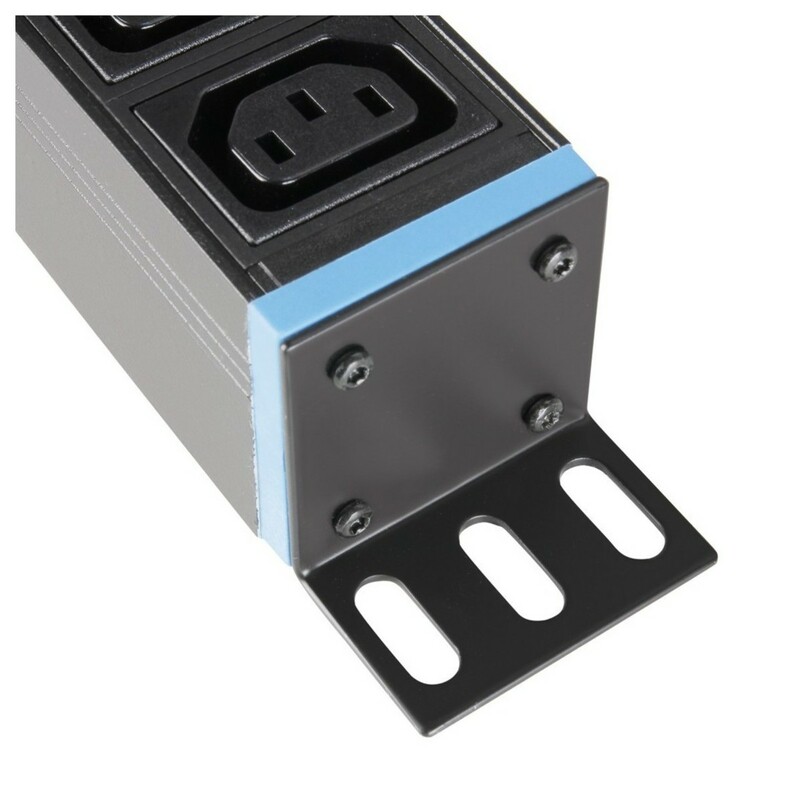 The power strip does not fit into a standard 19'' rack case, but includes mounting brackets to attach to flight cases or other fixed installations.